Tidal River #2 [E1375] - $12.00 : Yarn Tree, Your wholesale source for cross stitch supplies. 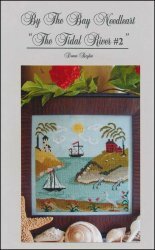 Cross stitch pattern from By The Bay Needleart. Stitch count 136 x 136.